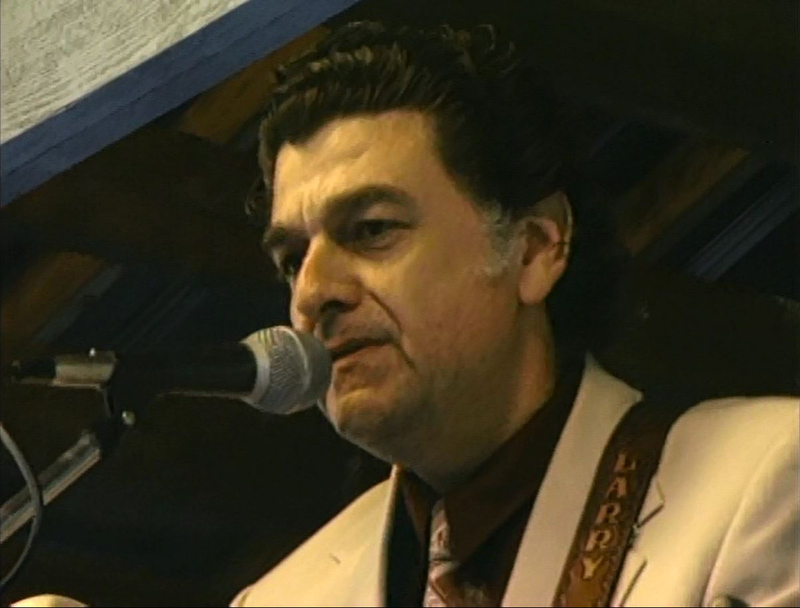 Surprisingly, although Melvin Goins appears as one of the talking heads, he isn't on any of the reunion performances that made it to the video. 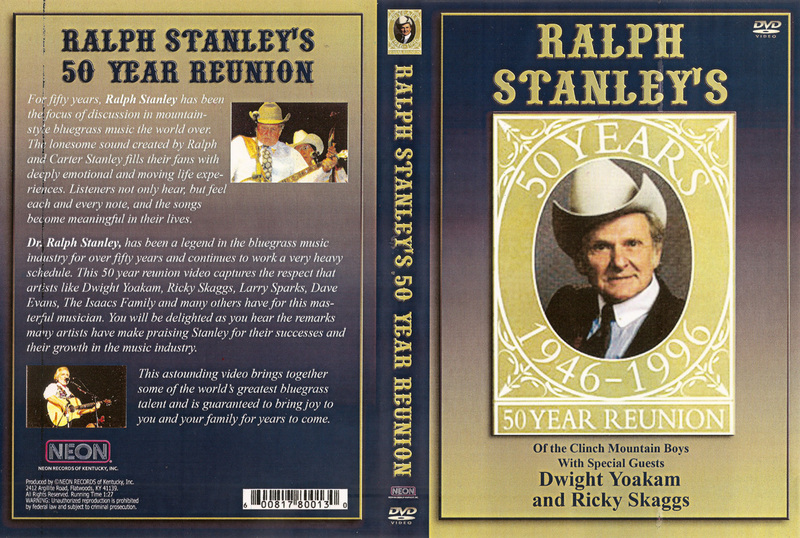 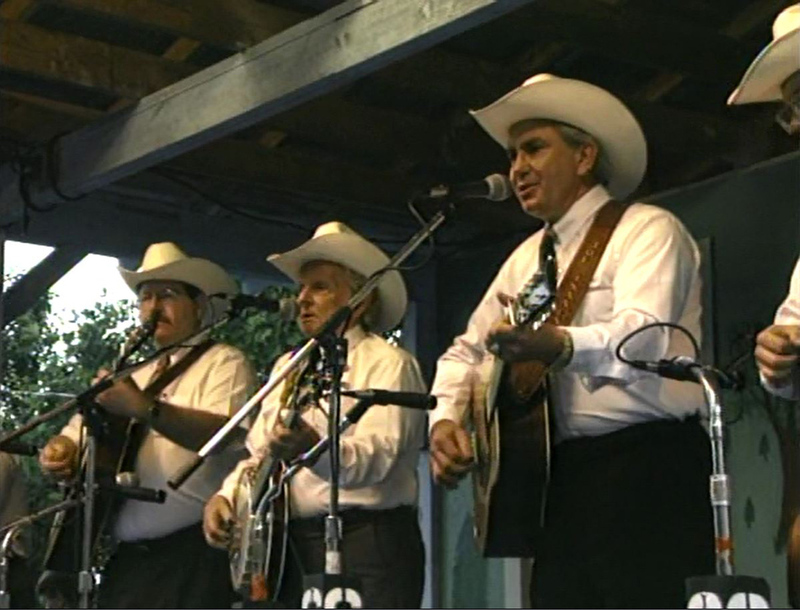 He is however on the 2-CD set that Ralph released of the show on his Clinch Mountain Boys Reunion album, with a sequence of old Stanley Brothers jokes. 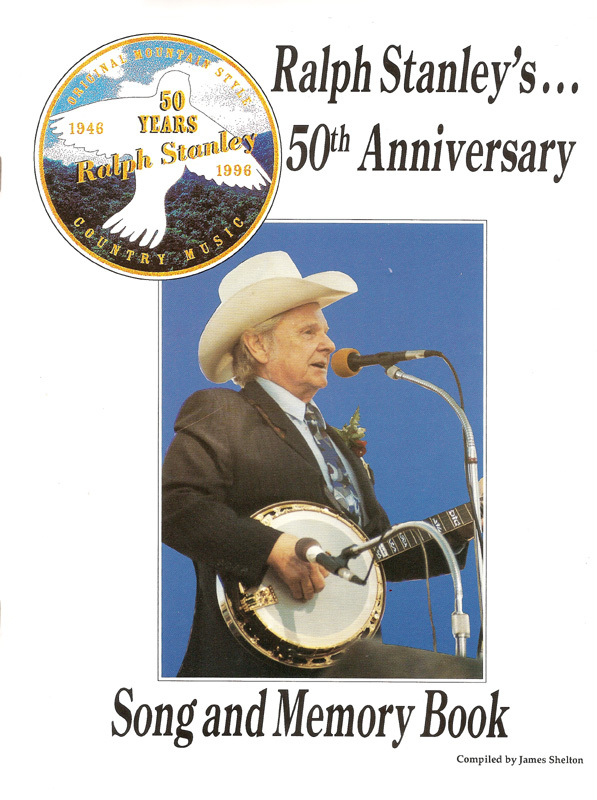 Some of the performances are occasionally a bit rough and ready, but it's unrehearsed nature also adds to the spontaneous feel of the recordings, and it is magical to see Ralph with the various musicians that helped create and maintain the 'Stanley' sound down through the decades. 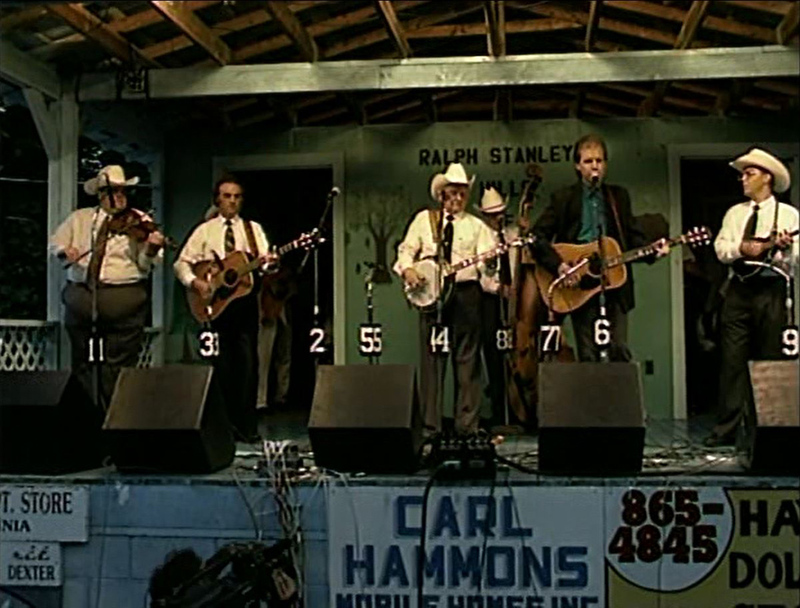 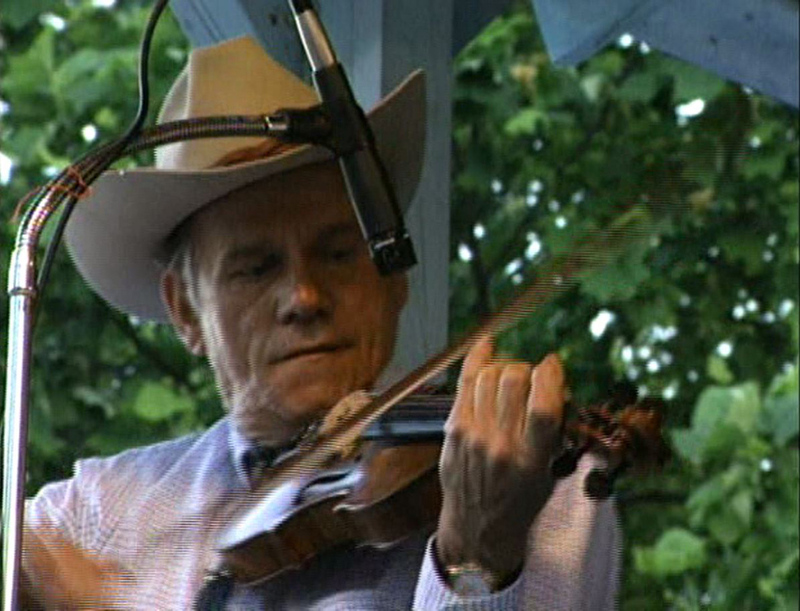 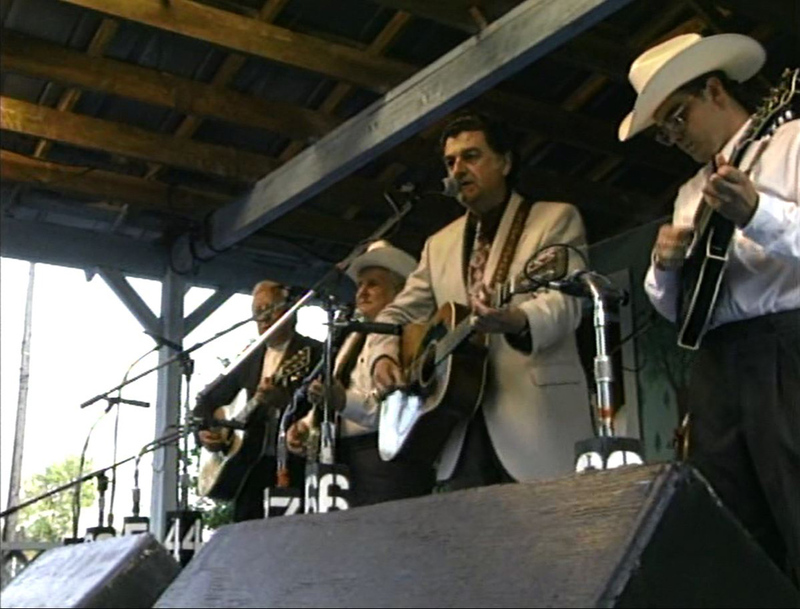 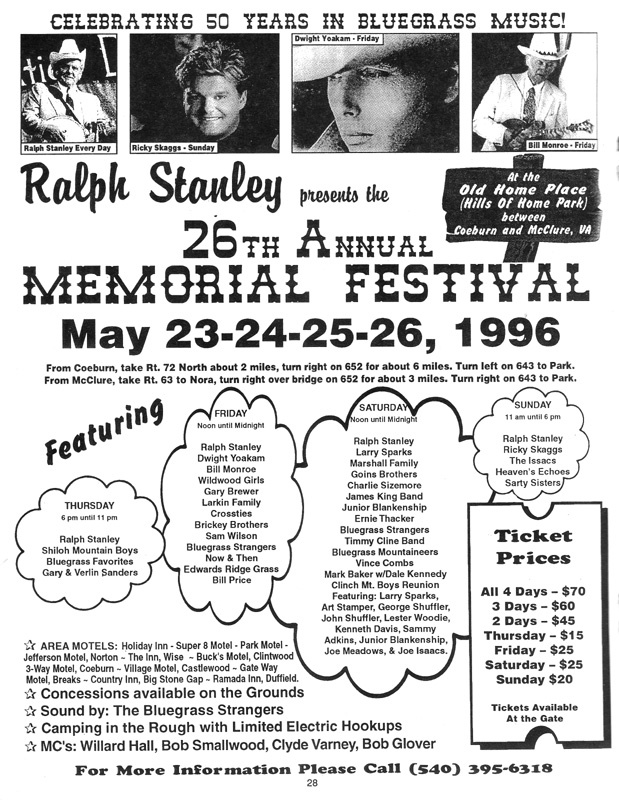 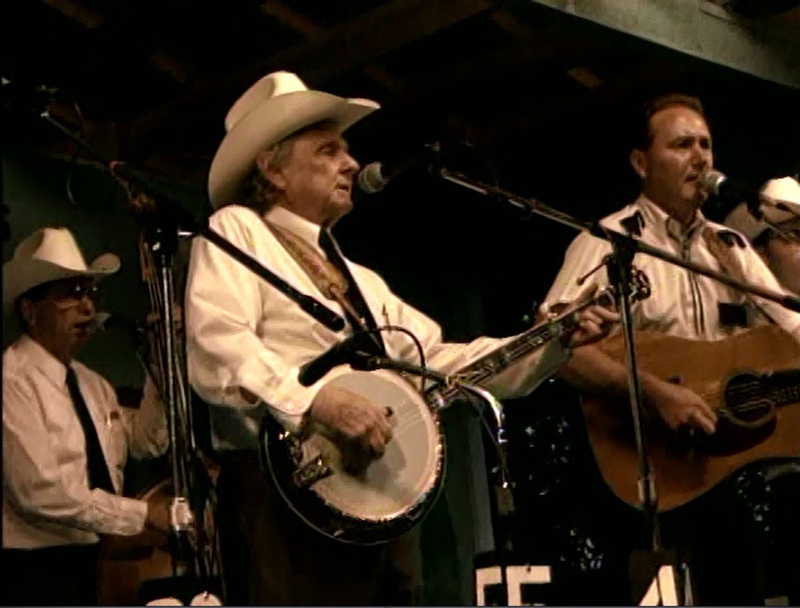 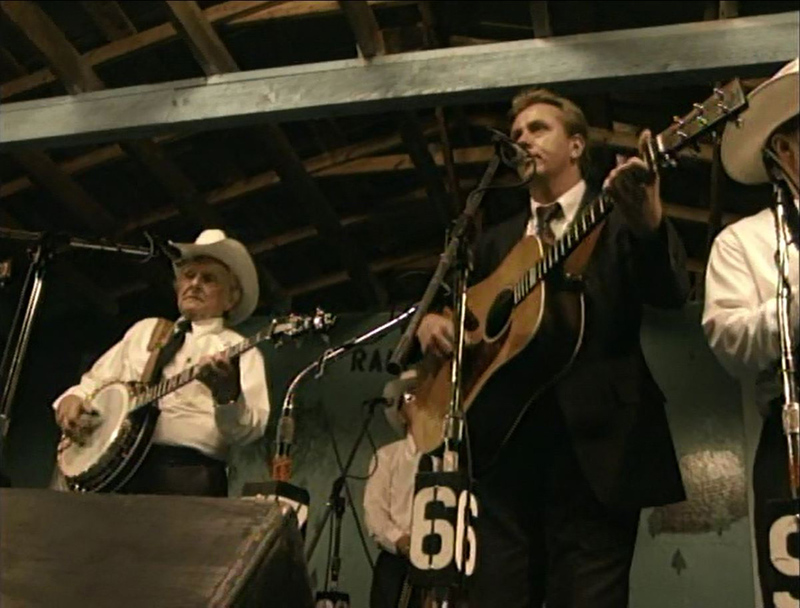 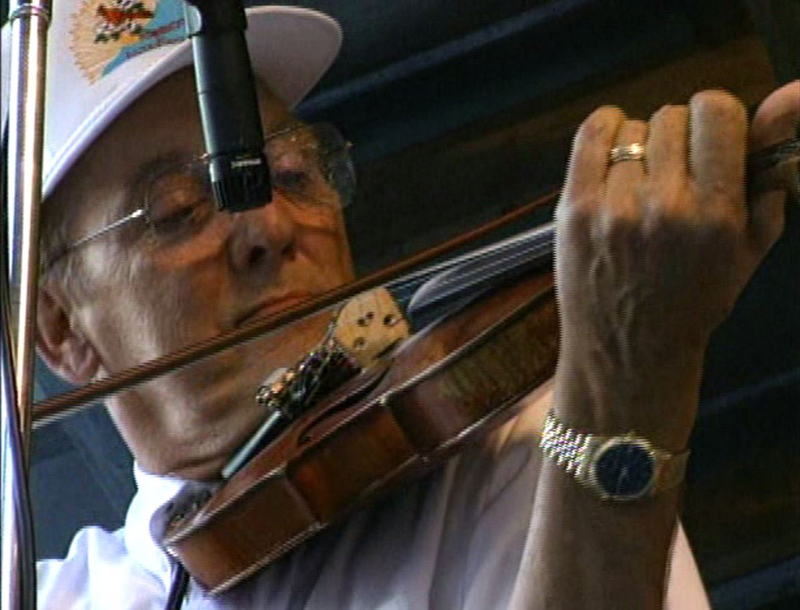 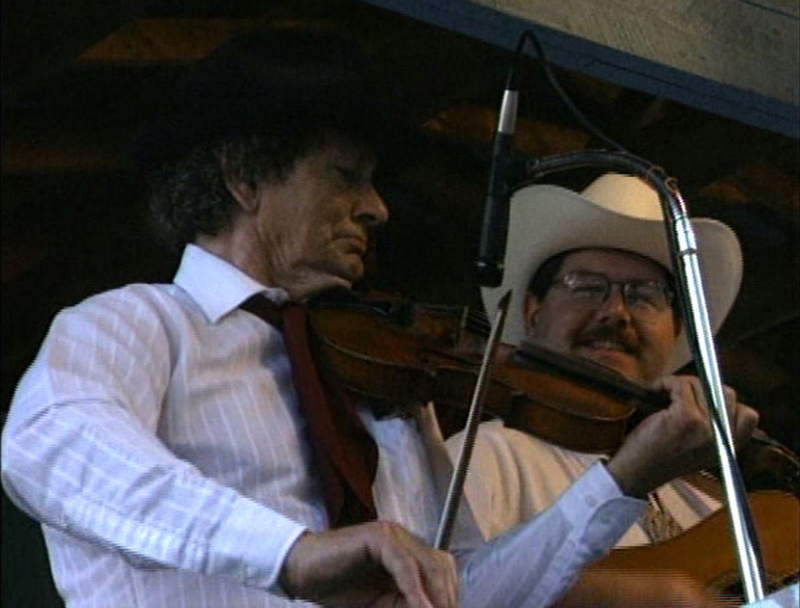 In addition to the regular CMB performances there's also one song apiece by Dwight Yoakum with Ralph guesting on Miner's Prayer, and The Marshall Family, who Ralph helped introduce to the Bluegrass festival scene. 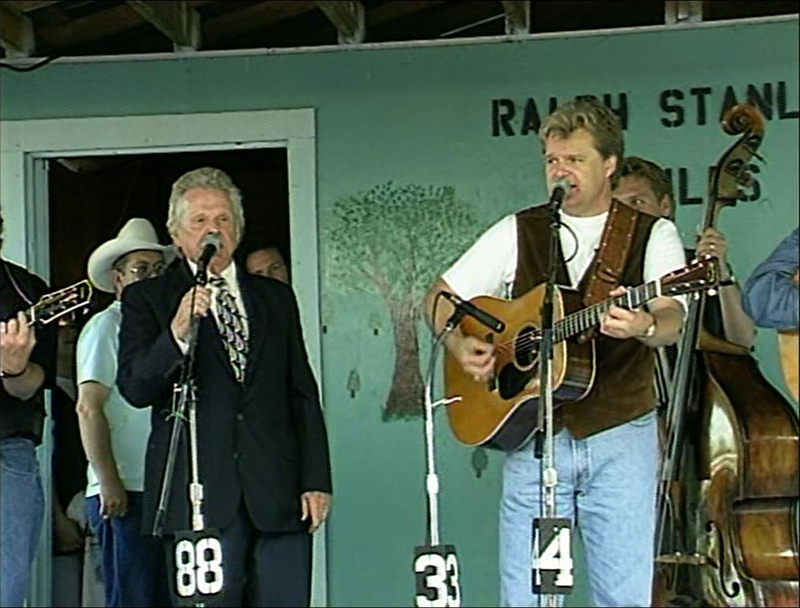 The Isaacs also join Ralph and the CMB's for one song, while the featured song with Ricky Skaggs, sees Ralph singing tenor with Ricky's band rather Ricky performing with the CMB's. 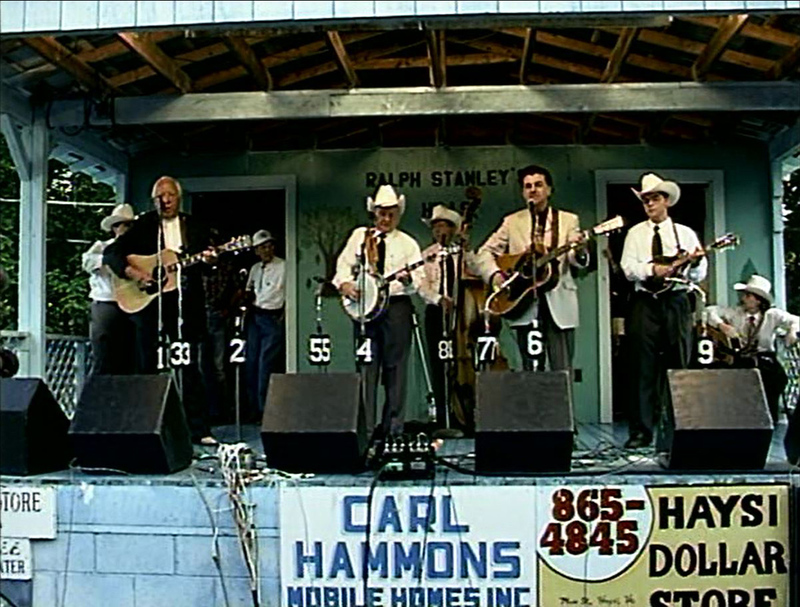 The video was later reissued on DVD-R, which was available for a time from County Sales. 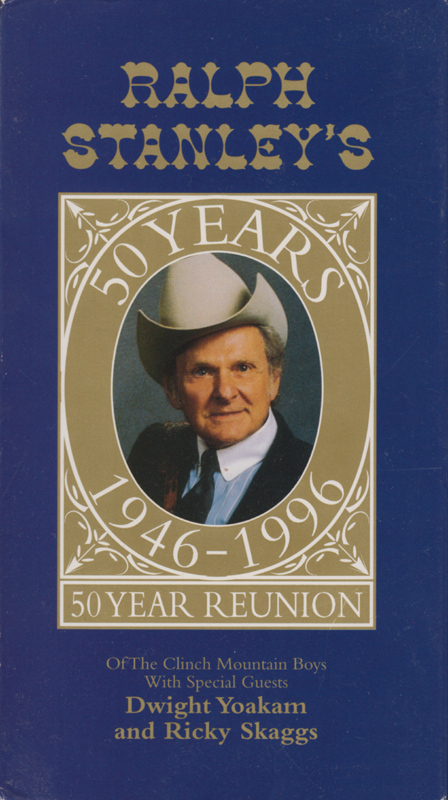 Picture quality on this is obviously better than what could be reproduced on VHS tape, but neither are that easy to find nowadays. 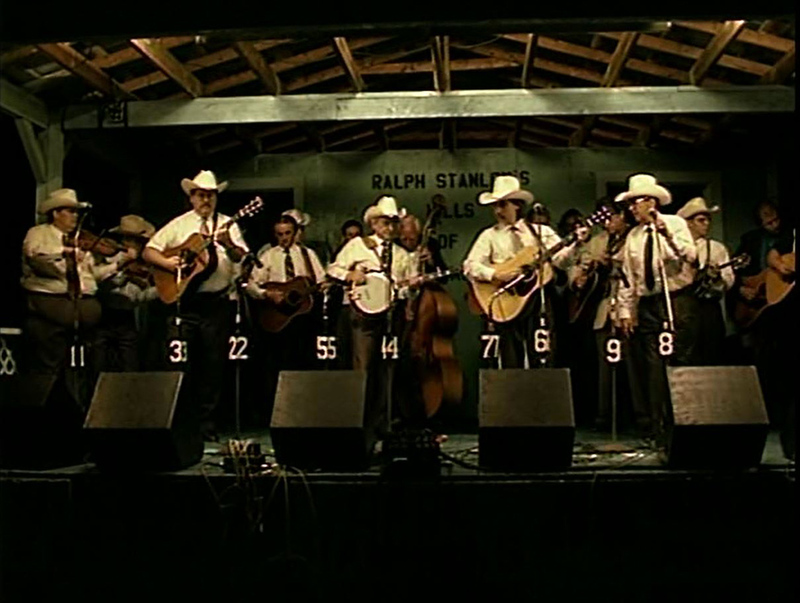 Sound is also consistently good throughout, and the video was recorded with multiple cameras, with plenty of close-up shots. 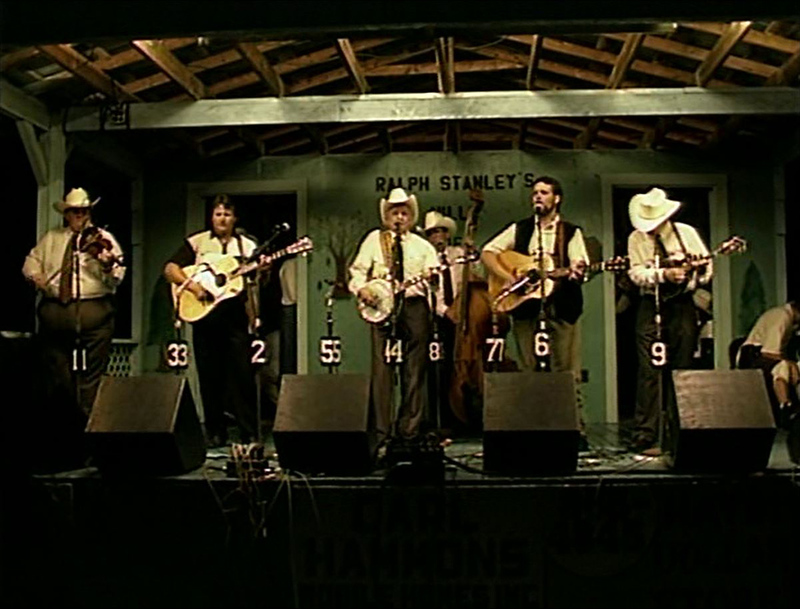 Overall, it is a well put together set which will make most Stanley fans happy. 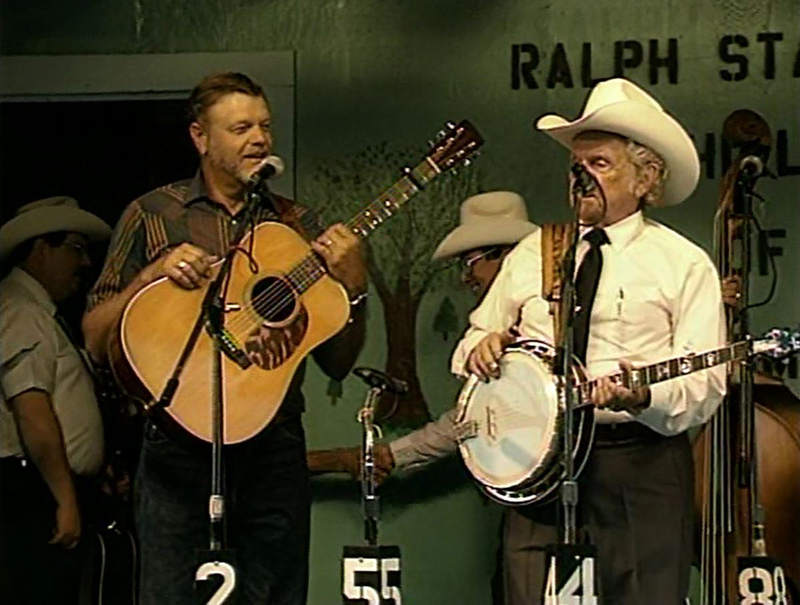 Obviously Ralph's banjo playing was past it's best by 1996, but he is featured on the old 5-string on most of the tracks, with Steve Sparkman assisting on just three. 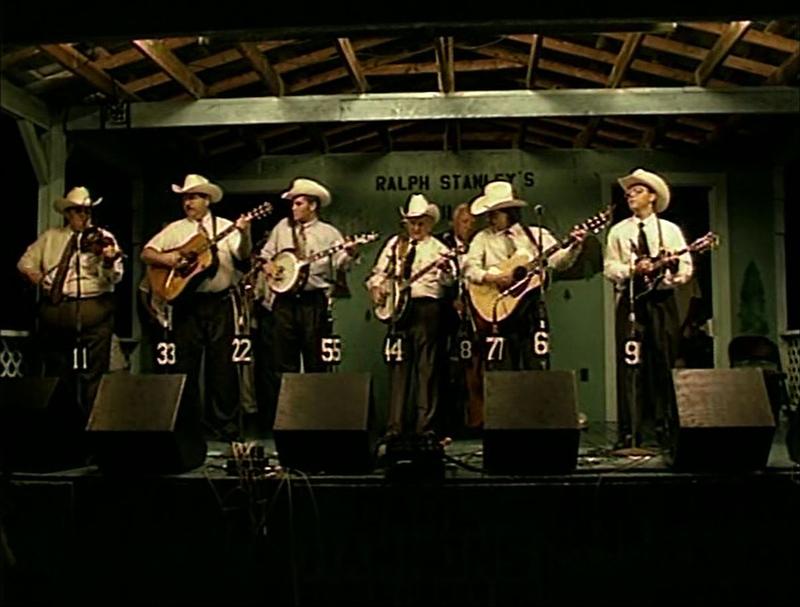 Playing time is approx. 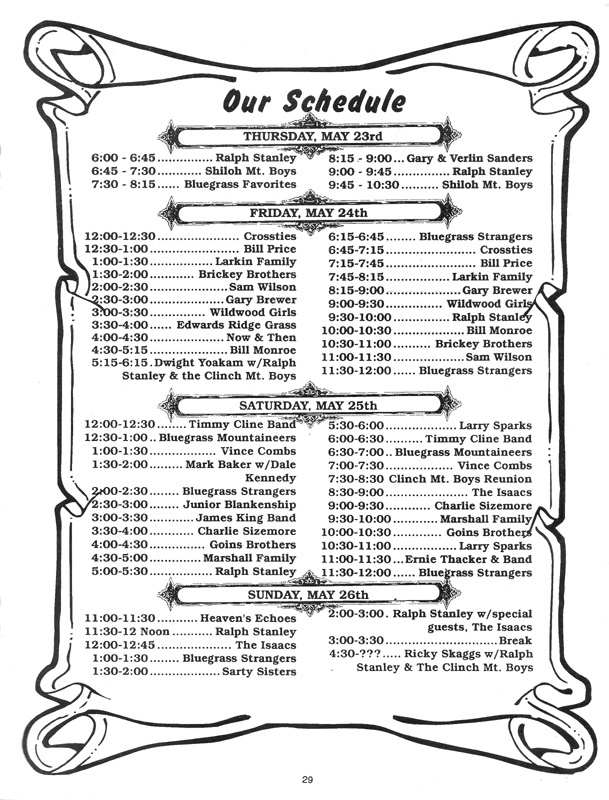 1 hour 27 mins. 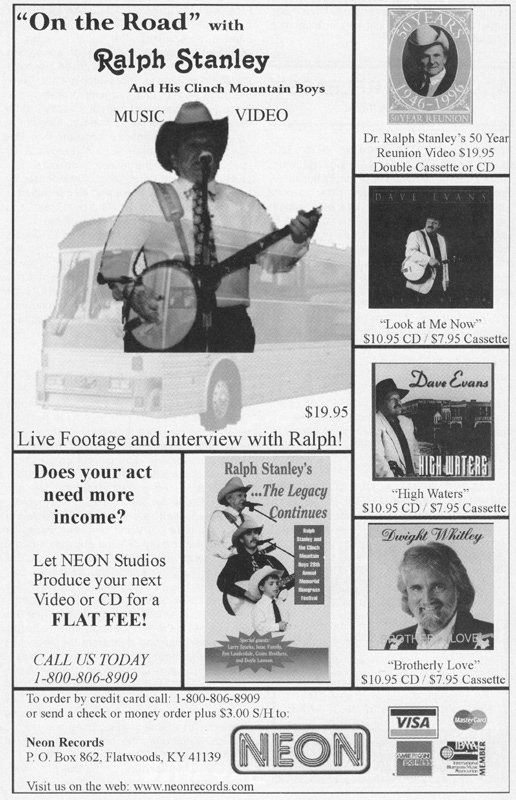 PS: For some reason the artwork for DVD-R has the same pictures of Dwight Whitley and Ralph which were used on the later 'On The Road' With Ralph Stanley VHS tape. Dwight of course, was one of Keith Whitley's brothers and though he doesn't appear on the reunion show, is on the 'On The Road'... release.